Scientists for the Environmental Working Group (EWG) poured over government tests on 43 popular fruits and vegetables, focusing on the pesticide loads. They compiled two lists: one containing foods with the most pesticides and a second list of the cleanest produce. An EWG simulation of thousands of consumers eating high and low pesticide diets shows that people can lower their pesticide exposure by almost 90 percent by avoiding the top twelve most contaminated fruits and vegetables and eating the least contaminated instead. Eating the 12 most contaminated fruits and vegetables will expose a person to about 14 pesticides per day, on average. Eating the 12 least contaminated will expose a person to less than 2 pesticides per day. Nectarines had the highest percentage of samples test positive for pesticides (97.3 percent), followed by peaches (96.6 percent) and apples (93.6 percent). Peaches had the highest likelihood of multiple pesticides on a single sample — 86.6 percent had two or more pesticide residues — followed by nectarines (85.3 percent) and apples (82.3 percent). Peaches and apples had the most pesticides detected on a single sample with nine pesticides on a single sample, followed by strawberries where eight pesticides were found on a single sample. Apples had the most pesticides overall with some combination of up to 50 pesticides found on the samples tested, followed by peaches with 42 pesticides strawberries with 38. *Celery had the highest of percentage of samples test positive for pesticides (94.1 percent), followed by sweet bell peppers (81.5 percent) and potatoes (81.0 percent). *Celery also had the highest likelihood of multiple pesticides on a single vegetable (79.8 percent of samples), followed by sweet bell peppers (62.2 percent) and lettuce (44.2 percent). *Sweet bell peppers was the vegetable with the most pesticides detected on a single sample (11 found on one sample), followed by celery and lettuce (both with nine). *Sweet bell peppers were the vegetable with the most pesticides overall with 64, followed by lettuce at 57 and celery with 30. The vegetables least likely to have pesticides on them are onions, sweet corn, asparagus, sweet peas, cabbage, broccoli, and eggplant. Nearly three-quarters of the eggplant (76.6 percent), broccoli (71.9 percent), sweet pea (77.1 percent), and cabbage (82.1 percent) samples had no detectable pesticides. Among the other three vegetables on the least-contaminated list, there were no detectable residues on 90 percent or more of the samples. Multiple pesticide residues are extremely rare on any of these least contaminated vegetables. Eggplant had the highest likelihood, with a 6.9 percent chance of more than one pesticide when ready to eat. Onions and corn both had the lowest chance with zero samples containing more than one pesticide when eaten. The greatest number of pesticides detected on a single sample of any of these low-pesticide vegetables was four as compared to 11 found on sweet bell peppers, the most contaminated crop with the most residues. Broccoli and asparagus both had the most pesticides found on a single vegetable crop at up to 19 pesticides but far fewer than the most contaminated vegetable, sweet bell peppers, on which 64 were found. The five fruits least likely to have pesticide residues on them are avocados, pineapples, mangoes, kiwi, and bananas. *Fewer than 10 percent of pineapple, mango, and avocado samples had detectable pesticides on them and fewer than one percent of samples had more than one pesticide residue. *Though 59 percent of bananas had detectable pesticides, multiple residues are rare with only 2 percent of samples containing more than one residue. Kiwi had residues on 15.3 percent of samples, and just 3.4 percent had multiple pesticide residues. The Shopper’s Guide to Pesticides in Produce ranks pesticide contamination for 44 popular fruits and vegetables based on an analysis of nearly 51,000 tests for pesticides on these foods, conducted from 2000 and 2005 by the U.S. Department of Agriculture and the Food and Drug Administration. Contamination was measured in six different ways and crops were ranked based on a composite score from all categories. Pesticides cause many adverse effects in well designed animal studies, from cancer, to nervous system damage, to reproductive effects. Rather than assign more weight to cancer than birth defects, we simply assumed that all adverse effects are equal. There is a significant degree of uncertainty about the health effects of pesticide mixtures. This ranking takes this uncertainty into account in the most defensible way possible, by simply ranking fruits and vegetables by their likelihood of being consistently contaminated with the greatest number of pesticides at the highest levels. Holy crap… I know I’m buying only organic apples and potatoes now… what about the genetically engineered corn that produces its own pesticide? Great question! 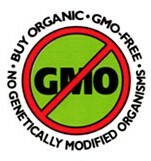 Until labeling is required, the best thing you can do is buy only organic. If you have a Whole Foods nearby they claim not to carry any GMO. Better yet, support your local farmers. Find a farmer’s market in your area and you’ll quickly discover who grow’s organic. Plus, you’ll have the added benefit of getting to know some great people. Heartburn is caused by damaged gut nerves resulting from long-term, low-level exposure to various toxins like pesticides.